A few days ago I promised I would talk to you about this really cool sock club I joined, so I guess it’s time I shared with you all! It all started a few months ago when I first heard about Zen Yarn Garden’s Harmony Semi-Solid Sock Club. Like several of you I am now more a fan of semi-solid yarns than variegated yarns so I thought this would be a really fun sock club to join. Sadly, it was a bit too expensive for me and I wasn’t able to sign up. I put it on my Christmas wish list hoping Santa would get it for me but Christmas came and left without it. I was planning to put them each in individual envelopes and pick at random but at the time I didn’t have anything appropriate to put them in. I’ll be getting some brown paper bags or something like that to put them in. In January I decided to pick the Lotus Yarns Aura (which is why it’s not in the picture) to knit the Snowflake Lace socks, which are, by the way, coming along really well. Starting in February I will be picking at random though. My “From Your Stash Sock Club” is definitely not a new idea, I know people were doing it last year. Also, I read last week, that someone in the Stash Knit Down KAL was doing the same thing. I think that it is a fun idea and that it will definitely save me some money! Also, who doesn’t like opening a package when you don’t know what will be inside! Of course, you might be interested in a real Sock Club and if you do I can only suggest a great Sock Club like the Y4S Sock Club… The theme for 2008 is “Focus on New England” and will have awesome dyers like The Woolen Rabbit, A Piece of Vermont and Sunshine Yarns! It’s really frustrating for me to not be able to let all the readers using Bloglines know that I’ve moved. So I’m even more thankful for the few 3 or 4 who have followed me here. I do hope that most of the others will eventually make their way over here somehow! I will mention that you moved!! Great idea for your sock club! I had no trouble finding you. I just don’t comment very often. 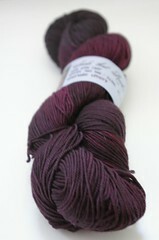 I really like the idea of a sock club from our own stash. Ever consider a trading sock club? Telling Chris is like putting it on that big TV in Times Square! I love your sock club idea. You’ve got me thinking about doing it myself!! The new blog looks blasting good! Seriously! I’d been wondering where you were! I love the stash sock club idea! What a lovely new home! I hope you have been well. 🙂 Happy New Year! Nice way to reduce the stash! 🙂 You have some lovely colours there begging to be knitted up. Welcome to WordPress! :o) I’ll change my Bloglines right now. Love the idea of a sock club from your stash! hmm… I think I just might join you! 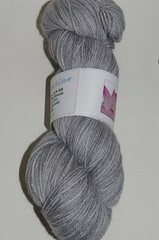 You always have such lovely yarns to work with! I am jealous. Can’t wait to see the socks you make this year!